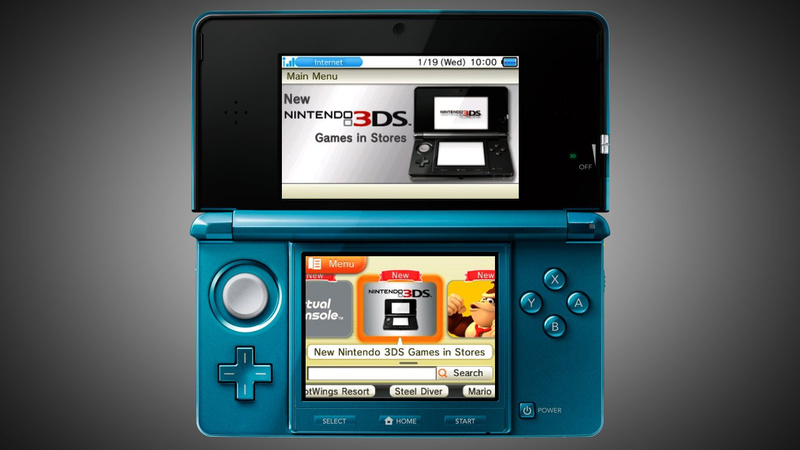 Worried that the 3DS's Internet Browser and new Virtual Console and 3DSWare eShop wouldn't be available at launch? Fear not – Nintendo has spoken, and the service will be available on the same day as the console's arrival. You'll still need to run an update in order to receive the features, as consoles won't come with them straight out of the box, but it should be a straightforward matter of downloading an update. Whether this will allow you to transfer DSiWare immediately is uncertain – our time spent with the console's operating system only confirmed this feature would be enabled with a future update, so we can only wait and see if the transfer arrives on day one. Rather than using Nintendo Points, the eShop will use a cash-based system, with prepaid cards available in stores or the ability to add funds to your account through a credit card. While we have no word on pricing yet, we'll let you know when we do. great i would love to see the browser in action. does anyone know if it have flash? or atleast a youtube app? I wonder what the 3ds vc launch games will be? Also, I wonder if 3dsware will be available on launch day? I think it's a bad move of nintendo's to have this as an update because there might be some people who don't take the update. Yep, added that information to the bottom - it's all cash-based, so should be $4.99 prices instead of 500 Points, for example. Good. If SML and Link's Awakening are ready by then, perhaps it'll prevent too many people from complaining about 3DS launch games. Id hope this means games arent limited to being priced by points and can charge any specific amount. Think your game is a $3.50 game? Charge that amount, this would be great because I'd never have to worry about having left over points or whatever. Why 99 cents? Why does it have to be so confusing? I hope they launch GBA games soon. Can anybody tell where is the mic on the 3DS? because i think it doesn´t have it and there are DS games which use mic i.e. Mario & Luigi, Super Princess Peach, Phantom Hourglass. @BlueBandanaJake Personally I can't see Nintendo giving pricing control over to publishers, but you never know. @Alex167 The microphone is below the touchscreen, just to the right of the Start button - it's just a small black dot, really. 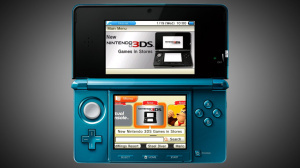 @Rockmirth I highly doubt there will be either flash or an app for YouTube for the 3DS. By now nintendo would have mentioned it. @lz but people will still complain. On GoNintendo it says that a USA Representative said this news may not apply to the USA shop. That settles it. I'm getting one on launch day. Now Nintendo could you possibly show a little support for The handheld VC? Instead of giving us little tiny bites every few months. The current state of the Wii VC has me wondering if this will be worth it in the long run. Thank God Chicken was here. I hesitate to think of the horrors wrought if nobody on the internet registered their dissatisfaction. It's rare to find people with enough bravery to do that. No Nintendo Points? What am I gonna do with my 3 extra points cards then?! I can't use them on my Wii and there's nothing good on the DSi Shop! can we play youtube.com videos on the web browser? I'm wondering if this is how you buy movies, too. I for one want Tangled on launch day. You people do realize that the itouch apps are crazily underpriced due too some bimbo who started pricing games way too low and too compete everyone else has to put there games low and now manufacturers are hurting or rather they could be making a lot more money. @29: There's prepaid cards, apparently, so it's still much the same as Nintendo Points. I imagine the usual £10, £20, £40 breakdown. Although the £10 ones will be spoken of only in whispers and not actually be available to buy anywhere despite all the adverts showing them. The good news is that you don't have to buy 1000 Points when you just want 700 to get the game. I hate having 300 Wii Points and can't do anything with it. This sounds good, although I guess I'm not sure what was wrong with Wii Points, especially since it was point per cent. Take that, skeptics (including myself)! Happy happy fun time!!! Can't wait till march~! I was hoping to save my 2000 points I got for christmas! So no movies announced yet. I was hoping they would get them immediately and put a few on the eshop for launch. Hopefuly when they are ready to bring on the movies, (im pretty sure they've implied it heavily before right?) they will be downloadable instead of on cards. Great! I was hoping to be able to test the browser (mostly for Facebook) and try out some of the those classic Mario and Zelda games that I have yet to experience for the 1st time! Now I'm counting down the days until the launch...oh look! Only about 3 more months! NO THREE DEE ESS VEE CEE FOR Y... (reads headline) Oh. Um, never mind. That's good news for EU, anyway. Still no word on what will be IN the eShop, though. Or what "advanced" means for the browser. Flash lite? Java? Less than ten weeks till launch and they're still working hard on finishing the 3DS... Here's hoping it all comes out half as good as the hype has it sounding. This is just for Europe though, isn't it? NA still has to wait a while. While having the classics would be great, Id love to see Metroid II redone like the first one was. I swear that the headline said "Bowser" when I clicked on this. Not that I'd be able to get this on launch day, but this great news all the same. This won't affect me, as I'm probably gonna buy this during/at the end of the summer. i hope that you can buy game boy advanced titles. I can live with that, not a big deal at all. I like others am still thinking that cash-based means we don't purchase points for set dollar amounts, but just by a pool of credit with no set dollar amount, or even better, buy it DIRECT for said price. If this is true, then good on Nintendo, cause I currently HATE the points based system. Game 500pts? Aww, you have 400pts., time to ante up $10 for the need of 100pts., to have 900pts. left that will last for a while until the next dilemma comes, or be stuck with when you don't see anything you like... what a joke. Please do the smart thing Nintendo. I wonder if you could buy actually 3DS games likes the psp? And did they mention any thing on downloading 3DS game demos, just think if you were thinking about a game you wanted to buy, but didn't know what is was like, all you would need to do was download the demo! The one question I have is will all 3DS's need to update to access the eStore or will just the ones coming out right near launch? The big fans running out launch day will surely update, but when the more casual gamers start getting it, what percentage of them will take the time to update? I can see two things happening. 1) Angry customer at gamestop: Y IZ NO INTERTUBEZ ON MAI THREE DEE ESS! ANGR RAGE FACE!! 2) Even worse for Nintendo - 3DS online connectivity rates even worse than Wii's and fewer people even know there is an online shop. At least the Wii had their online shop display right out of the box, and people STILL ignored it..
@ Token Girl #1 there will be the same person in the next edition of Nintendolife's odd emails they receive. 1. Now, rather than a round number price point, they can be to the exact cent. This exact change (from every d/l of every online shop user combined) will add up over time. Even a single user's purchases over the course of the system, too. 2. As I understand it, Apple does this w/ their devices. Nintendo makes it known they consider Apple their competitor/rival, if not primary, & in handheld gaming. So, this tears a page from their book, in hopes that it will be more comfortable/familiar to potential customers to encourage them to buy from the Shop.